The tee-pees are made by the Ojibwa in Ontario, Canada. They are made with birchbark. 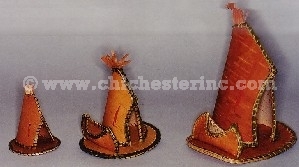 The 3" and 5" tee-pees are trimmed with porcupine quills. 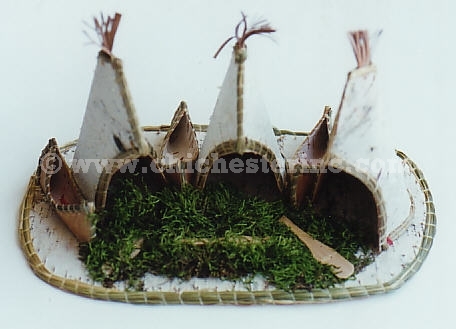 The tee-pee village is trimmed with sweetgrass for a natural aroma.